Walking Holidays Cinque Terre – The Classic Walk: The Cinque Terre (Five Lands) is a string of five fishing villages perched high on the Italian Riviera which until recently were linked by a mule track and accessible only by rail or water. The Cinque Terre (Five Lands) is a string of five fishing villages perched high on the Italian Riviera which until recently were linked by a mule track and accessible only by rail or water. An ancient system of footpaths is still the best way to visit these villages where the old customs of the Ligurian fishermen survive in an area along a steep, rugged coast. The breathtaking views of harbours far below the wild but hospitable coastline along with the medieval fortresses and plentiful vines and vibrant colours make this a memorable holiday. You walk along one of the most magnificent coastlines in Europe, including the Gulf of Poets, the Cinque Terre themselves with the option to continue to Portofino, Camogli and San Fruttuoso. £629.00 per person (based on two people sharing) 6 days, 5 nights. Optional extension to Camogli for 2 nights: £160 per person based on 2 people sharing. Single supplement – please ask. Transportation to/from the start/finish of the holiday. Because accommodation is limited and the area is very popular it is advisable to book as early as possible. Day 1: Arrival in Portovenere. Day 2: Portovenere – Riomaggiore. Today you will enjoy the so-called ‘Crinale dei Tramonti’ (Ridge of Sunsets) and the Muzzerone escarpment, with gorgeous views overlooking the villages and the sea. Total walking time: around 5.5 hours. Day 3: Riomaggiore – Corniglia – Monterosso. 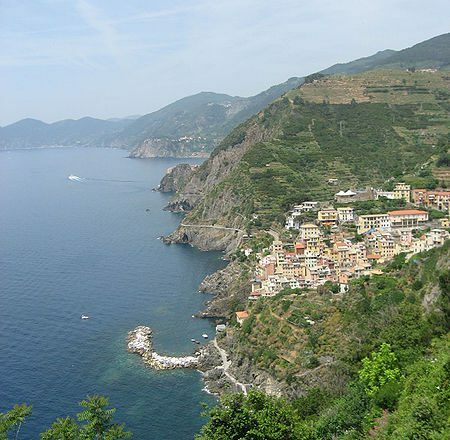 Walk the celebrated ‘Via del’Amore’ to Manarola, from where you continue to Corniglia. Spectacular views over Guvano Beach, and groves of olive trees, on the way to Vernazza, the only natural harbour in the Cinque Terre. Then follow a path down into Monterosso, with blue, red and yellow houses clustering around the beach. Total walking time: around 5 hours (can be shortened by taking local boat). For those who prefer, it is possible to stay 1 night in Corniglia and 1 night in Monterosso, which means that the walks each day are shorter. Circular walk in the hills above Monterosso. Total walking time 4.5 hours. Day 5: Monterosso – Levanto. Walk up to the Punta Mesco promontory and its old farmhouses. 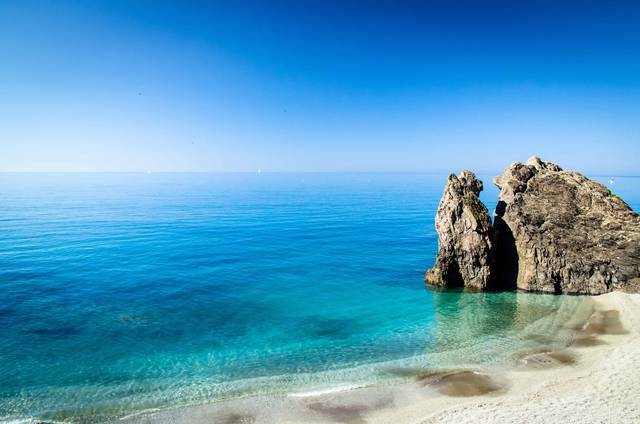 Along the way, you will be overlooking the Cinque Terre Marine Reserve, with fine coastal views amid the typical Mediterranean scrub, dotted with cork trees. Total walking time: 3 hours (optional extra circular walk Levanto 1.5 hours). Day 6: End of tour after breakfast OR optional extension to Portofino peninsula (as below). Take train to Camogli in the morning and settle into seafront hotel for 2 nights. Walk in hills above Camogli. Total walking time: approx. 3.5 hours. 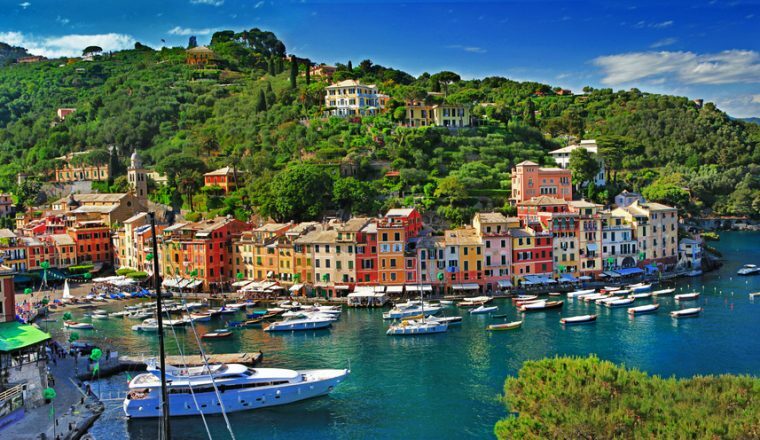 Choice of walks – take boat from Camogli to Portofino, one of the most famous and charming of Italian small ports, much frequented by the rich and famous. From Portofino walk to San Fruttuoso with its beautiful monastery and continue on foot to Camogli (5 hours); or take boat from Portofino to San Fruttuoso and walk back to Camogli (3 hours).